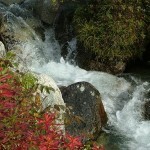 The ULTIMATE adventure, this air, sea and bus tour from Anchorage is featured only ONCE per year! 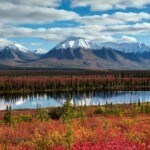 Discover glaciers, rivers and wildlife on this remote Alaska air, sea and bus tour from Anchorage! A premium adventure, it features both Denali National Park & Wrangell St. Elias National Park, glaciers galore and scenic touring in luxurious comfort. Exclusive views of stellar seals, salmon runs and bears! Cruise Prince Willam Sound, flight seeing over the Wrangell St. Elias mountains, land on a glacier on Mt. McKinley, raft the mighty Matanuska River, marvel at ice bergs the size of houses after they calve at Knik Glacier. This adventure will make you exclaim… “each day just keeps getting better!” This is one of the only tours featuring the Alyeska Oil Pipeline! 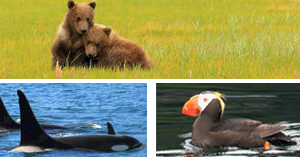 Ask about our 2-Day/2 Night add-on to the Kenai Fjords!